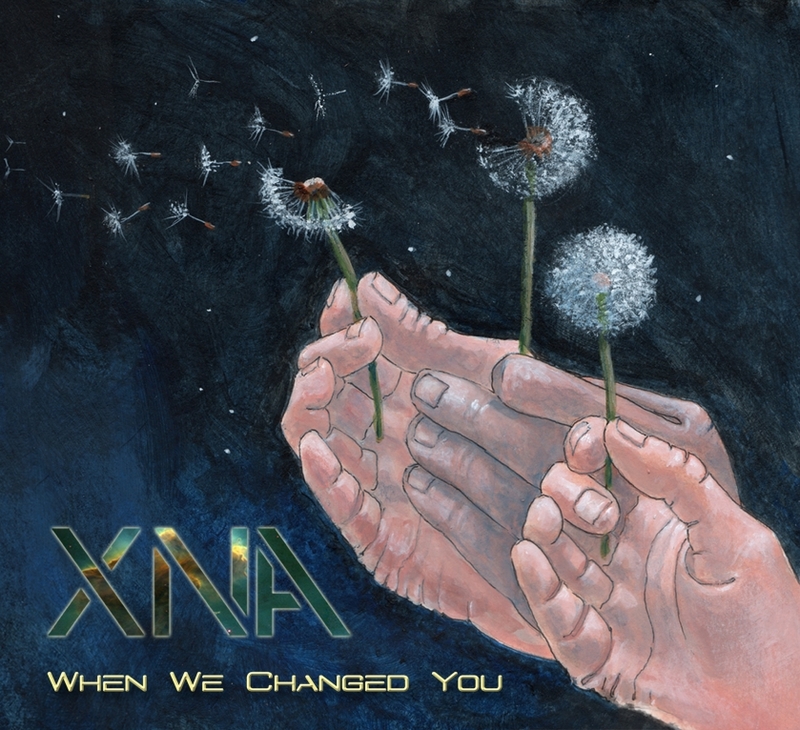 Los Angeles, CA – Following in the musical footsteps of progressive giants such as Yes and Genesis, L.A.-based collective XNA launches their debut recording, the riveting and ambitious concept album When We Changed You, available October 22. Founded by vocalist David Hussey of Genesis tribute band Gabble Ratchet and keyboardist Adam Malin, composer/author of several solo sci-fi rock operas including “Singularity” and co-founder of Creation Entertainment, the company responsible for the original Star Trek Convention, XNA effortlessly traffics in classic prog rock but with a unique, multi-layered, symphonic sound. The evocative lyrics relay strange cinematic stories steeped in history, science fiction, and the macabre. Rounding out the band are drummer Scott Connor of CIRCA: and the Bobby Kimball-fronted Yoso, who provides the rhythmic backbone for the album, and guitarist Danny Bryle of Psychle and Low Media High, who furnishes intricate melodies throughout. Befitting XNA’s commitment to recapturing a more artistic era of music, the album is being released in a sumptuous hardcover digipak and lavish, full color 24-page booklet of lyrics, original paintings and conceptual art.